As you all know, Daddy and I loves to cook for our family. Everyday we cook our meals from breakfast to dinner. 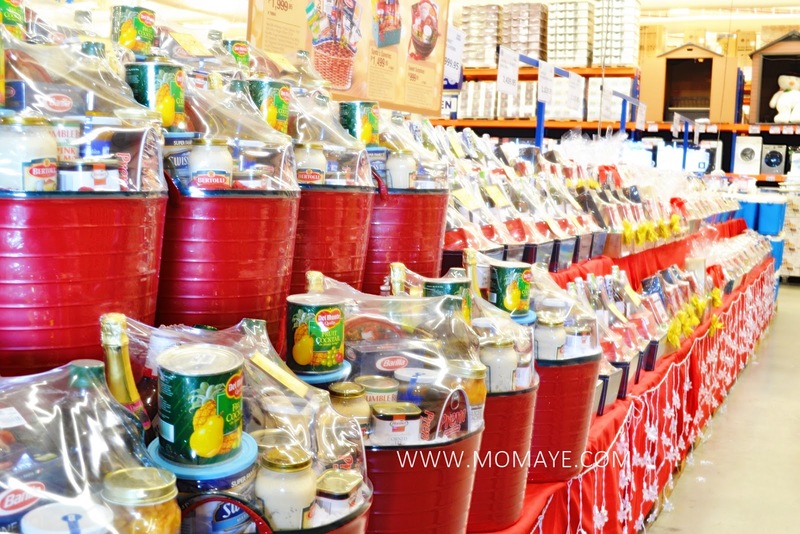 This way we are assure that the foods that we eat are safe and healthy. This is Daddy cooking our breakfast early in the morning, before going to work. 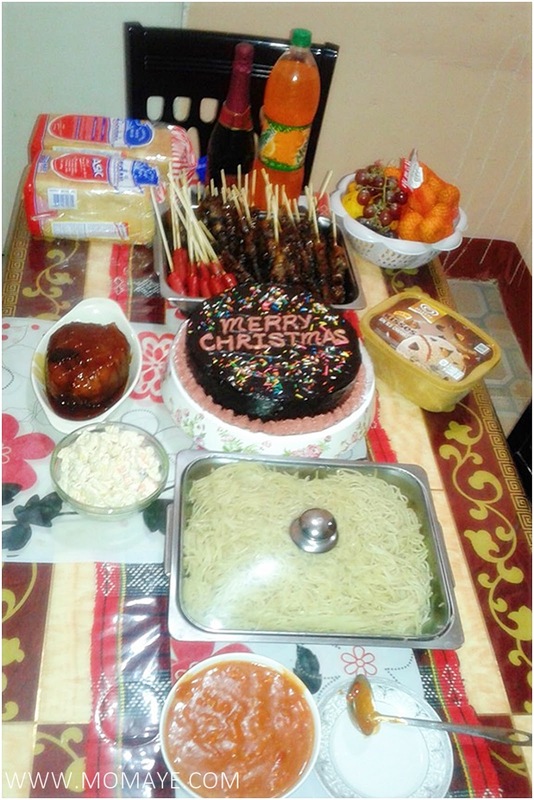 Aside from cooking regular home meals, I like cooking pasta on weekends and special occasions like Christmas. Also, Daddy is now into baking and he’s learning to make pizza, which I really love by the way. He also like to try foreign dishes like Japanese food. However, I know cooking Japanese food is not easy. But Japanese food is really delicious so all the effort will be all worth it. So when I learned that Asian Food Channel (AFC) announced the premiere of Fresh Off Japan!, we are both delighted. Fresh Off Japan! is a 4-episode series hosted by 2014 Food Hero winner Sarah Benjamin, which will feature the flourishing Japanese food culture in Singapore. Each week, Sarah will unearth the secret behind the classic Japanese cuisine from picking the freshest Japanese ingredients and trying authentic Japanese dishes to meeting renowned chefs in Singapore. What is very exciting is that after meeting the chefs, Sarah will try to master the intricate Japanese cooking techniques with her own modern twist. Sounds really great right? Can’t wait to watch all the four episodes! Here's an exclusive video as Sarah Benjamin takes us to the most enchanting Japanese cuisine. Catch the 4 episodes of Fresh Off Japan! on Asian Food Channel Cignal Ch26, Dream Satellite TV Ch27, SkyCable Ch22 and Ch248, and Destiny Cable Ch22 and Ch72. You can catch the pilot episode on the Asian Food Channel website. You can also visit their Facebook and Twitter page for regular updates. Disclosure: This post has been sponsored by AFC. However, all my views and thoughts are my own. Just 2 days to go and it's Christmas! Excited? My son is so excited that ever since the Christmas countdown started, he never failed to keep on the track. He even asked us to buy him a gift na kasi malapit na daw ang Pasko. 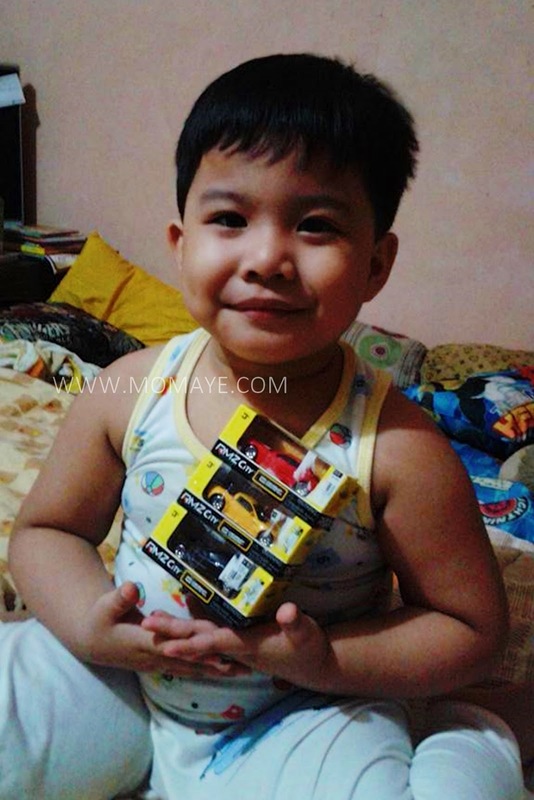 He also told me to tell his ninong to buy him a gift na when he saw Divisoria on TV. Kaloka! Anyway, one sleep na lang and it's Christmas. I hope you already completed your Christmas gift. 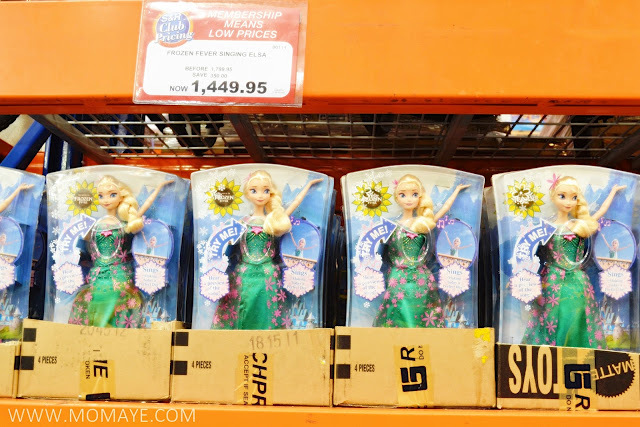 If not there are joyful finds at S&R that everyone will be happy to receive. So don't stress yourself na ha. Just look at these list then go the nearest SnR na, hehe. For boys and girls here are fun gifts that will make their Christmas merry. Little girls will surely love to receive this Frozen Anna Singing Doll at P1,149.95 only. 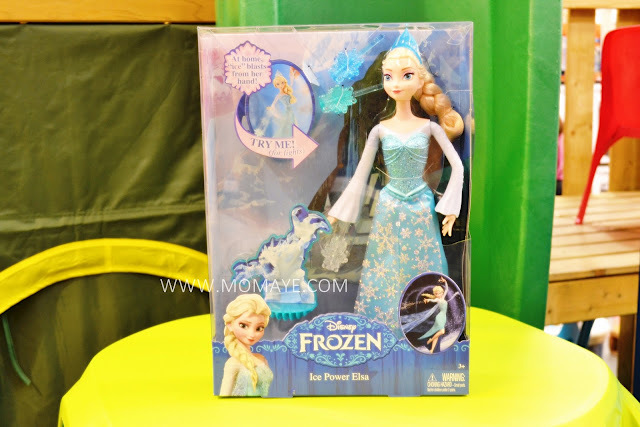 Here's Frozen Anna Singing Doll at P1,449.95 only. Super nice these two Frozen Anna and Elsa Doll at P1,299.95 only. 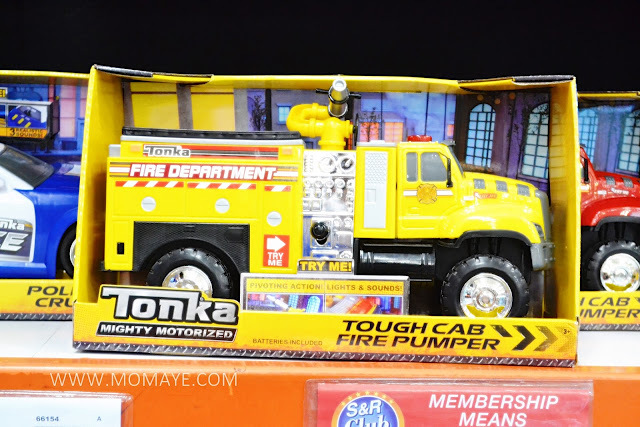 For boys naman, I am sure they will love the Tonka Motorized Vehicle at P1,499.95 only, and the Maisto Special Edition Cars at P999.95 only. There are ride-on cars too like the BMW Ride-on Motorized at P6,499.95, Porche Ride-on Speedster at P5,799.95, and Mini Cooper Ride-on at P6,499.95 only. 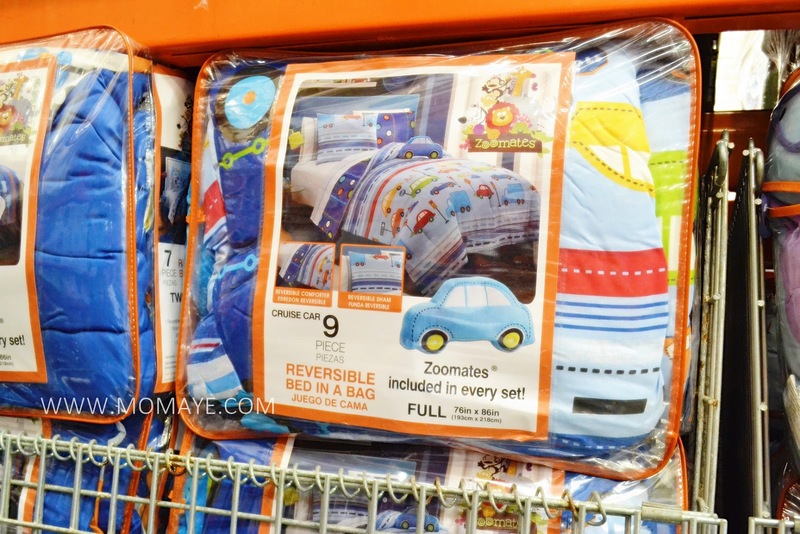 This Kiddie Bibs 9pcs, full at P1,899.95 is a nice gift too. For a family naman, these Holiday Baskets are perfect. 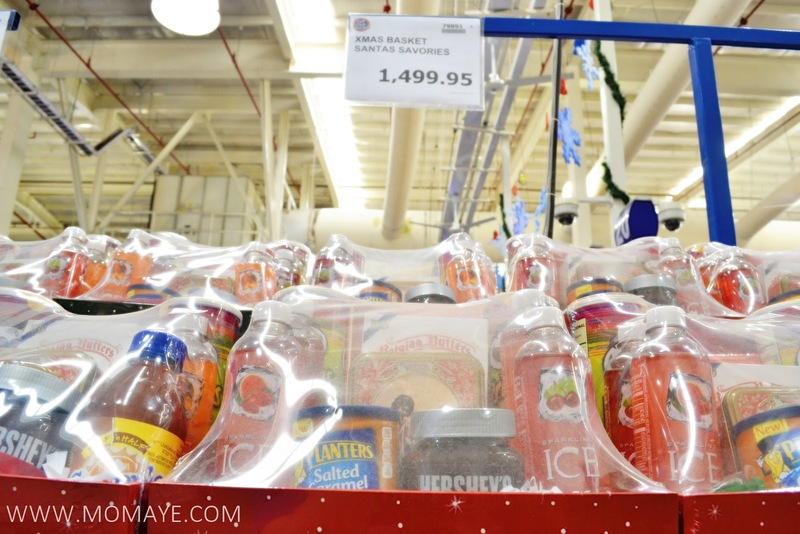 There are lots of baskets to choose from depende sa budget nyo, of course. 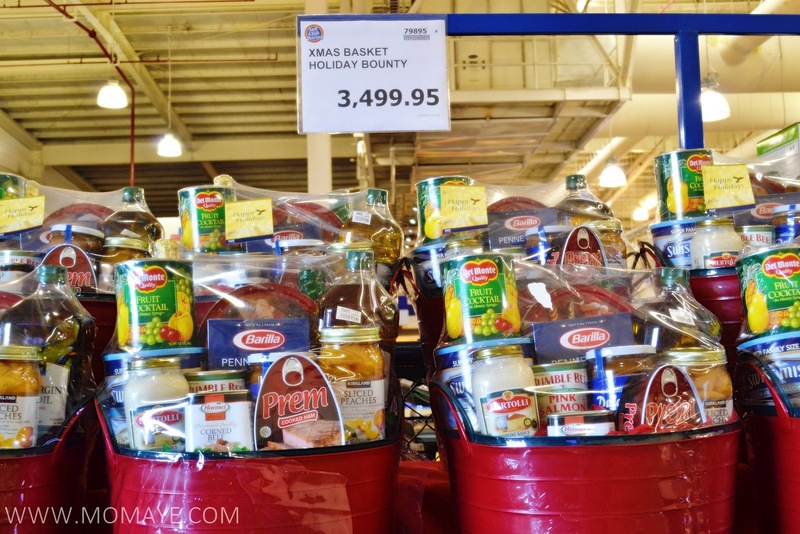 This Holiday Bounty basket is only at P3,499.95. 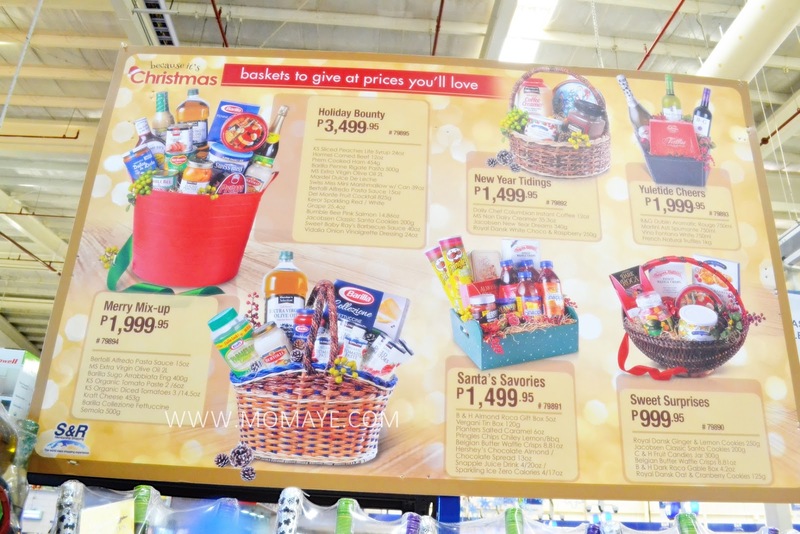 This Santa's Savories basket is at P1,499.95 only. Yuletide Cheers basket at P1,999.95 only naman. 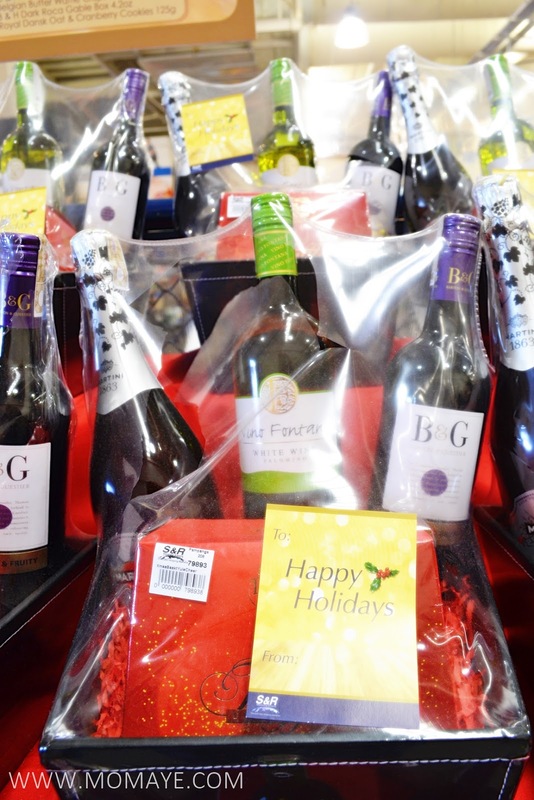 What are celebrations for without wines and drinks right? 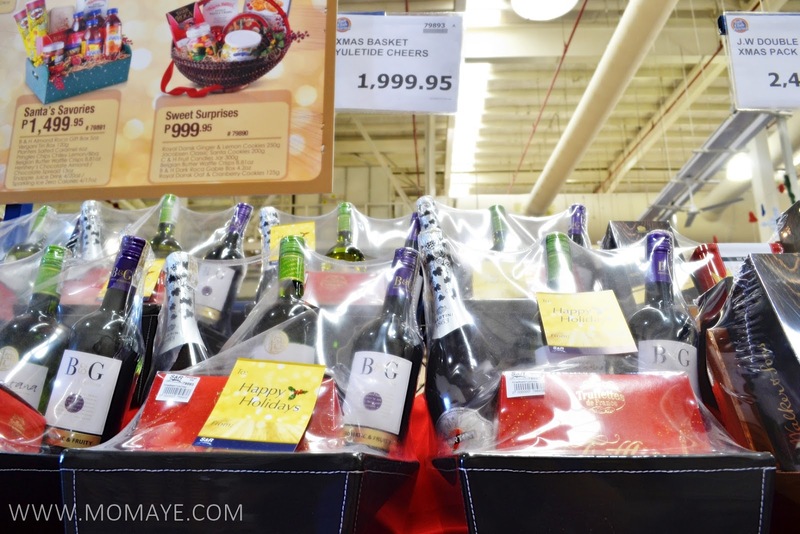 The Merry Mix -up at P1,999.95, the New Year Tidings at P1,499.00 and the Sweet Surprises at P999.95 baskets are also available. At S&R, there are a merry mix of holiday choices exclusively club-priced for S&R members. That's why we #loveSnR. 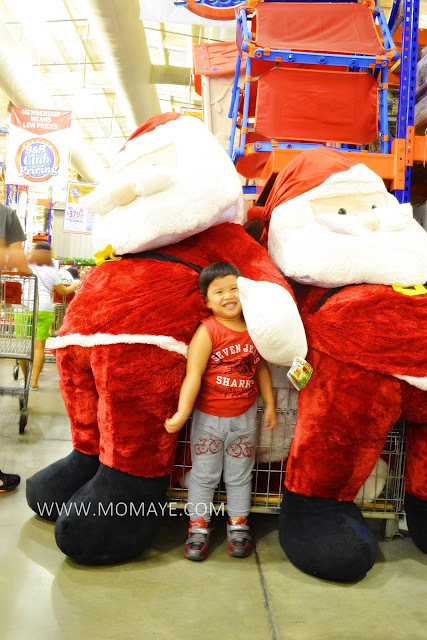 And here's our little boy with this Giant Santa saying Merry Christmas! 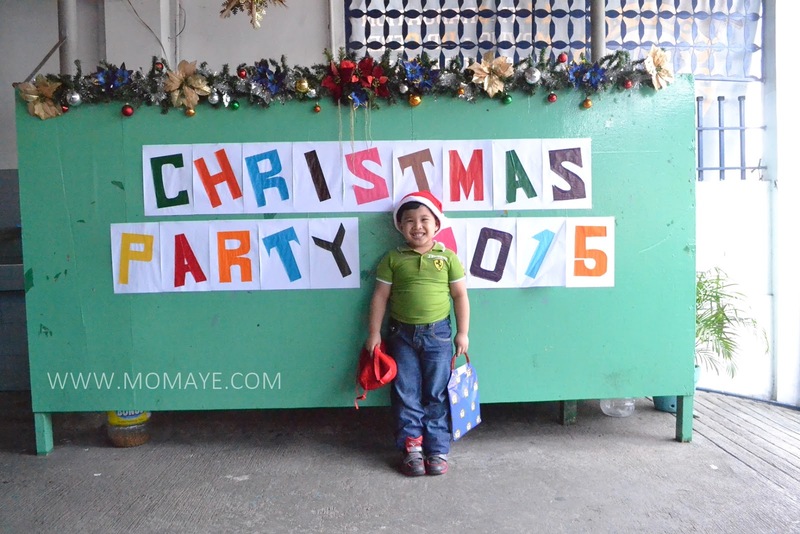 Yesterday was Matthew's Christmas party. Thanks God the weather is better yesterday. 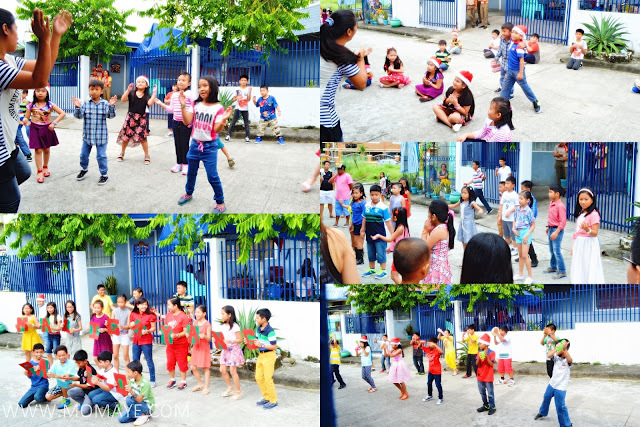 Although it drizzle a little, the school's Christmas party was a success. Picture taking before going to school. Time flies really fast. He's a baby no more. Look at that smile. This is the day he's been waiting for since last week. Thank God for the good weather. As usual, each grade level had their own presentation. 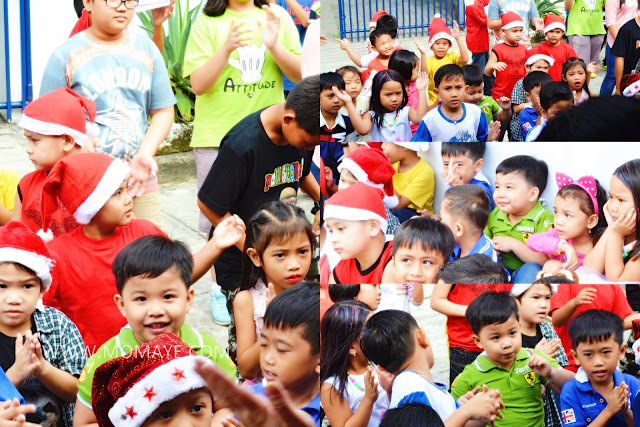 The kinder and prep danced to the tune of Magmahalan Tayo by Alden Richards. Most of the presentations are dance. No carolers this time so I missed the sound of sax from the woodwind family. The cuties after the presentation while waiting for the big bee! 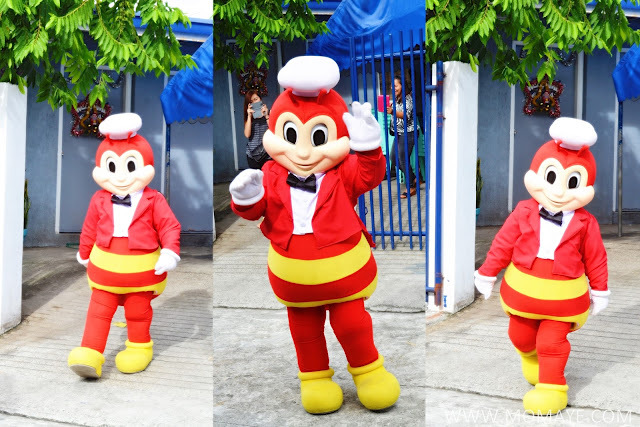 And here's the most popular orange bee on earth, Jollibee! 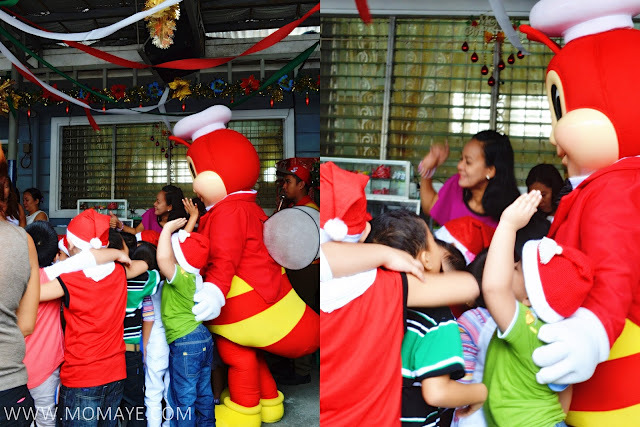 This is the best shot Daddy got as the kids, including the teachers and parents were all around Jollibee waiting for their turn to take photos. Atleast Matthew was just beside Jollibee, haha. 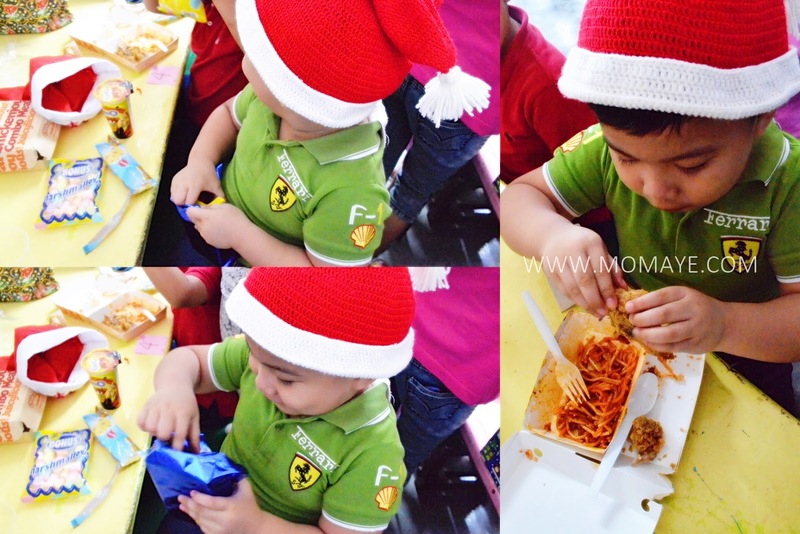 After watching Jollibee, it's eating time and gift giving. 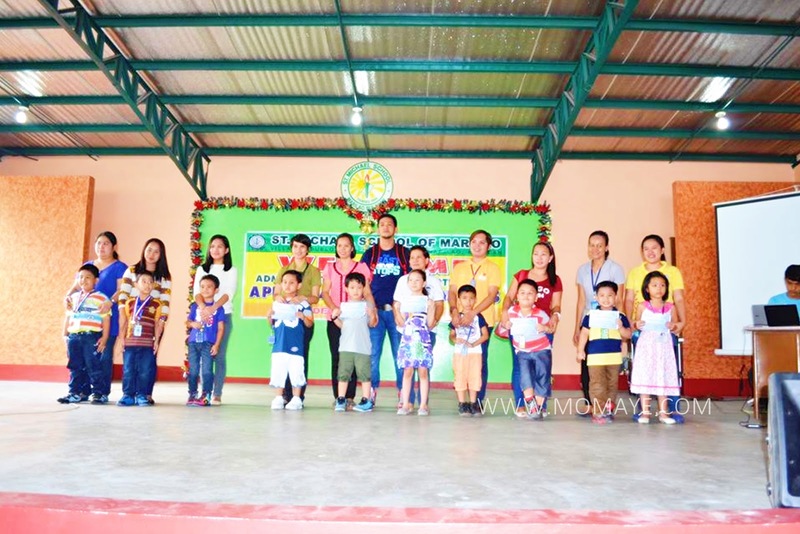 Before the program ends, the school director gave Matthew and his two other classmates who won at the APRSIM Sporsfest, Academic and Cultural Competition a Christmas gift. This what he got. Maybe they can't think of something to give so money na lang. I asked Matthew what he wants to buy but he said we will add this to his savings account. Yey, he knows how to save. By the way, just like last year's Christmas party, the gifts come from the parents as the secret Santa. So when we went to the mall, we asked him to choose what he wants Santa to give him. He chose one of these car and he wanted to get it right then and there. But I told him he can get three if he can wait, pumayag naman. His classmates were teasing him because he got a small gift but when he opened it and saw the three cars, he was so happy. Now, he kept on asking me why Santa bought the three cars. I told him Santa saw that he is a good child that's why he bought the cars. And that makes him smile, simple joy! Oh, just 6 days to go before Christmas. Merry Christmas everyone and enjoy the weekend! Hair iron straightener is one of my two Christmas wishes. I have been looking for one since my 8-year old Revlon hair iron is already retiring. 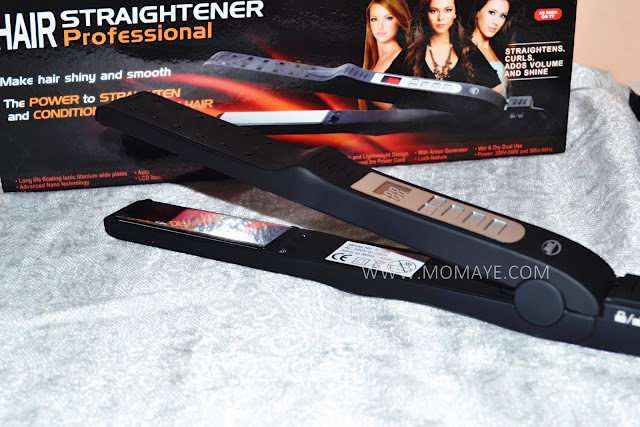 Good thing I asked sis Marie (of Mommy Unwired) and she recommended JML Hair Straightener Professional. So when I got a chance to go to Watsons, I waste no time looking for it. Luckily, they have stocks. The sales lady tried it on my hair and instantly fell in love with it. 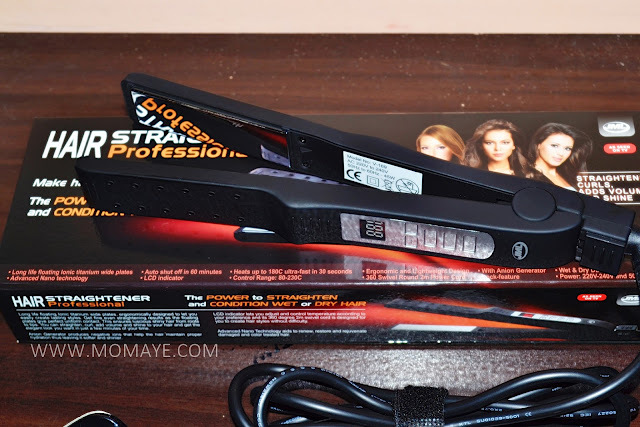 This JML Hair Straightener Professional has Nano Ionic Titanium wide plates that is designed to create lasting hair styles, straight or curly. 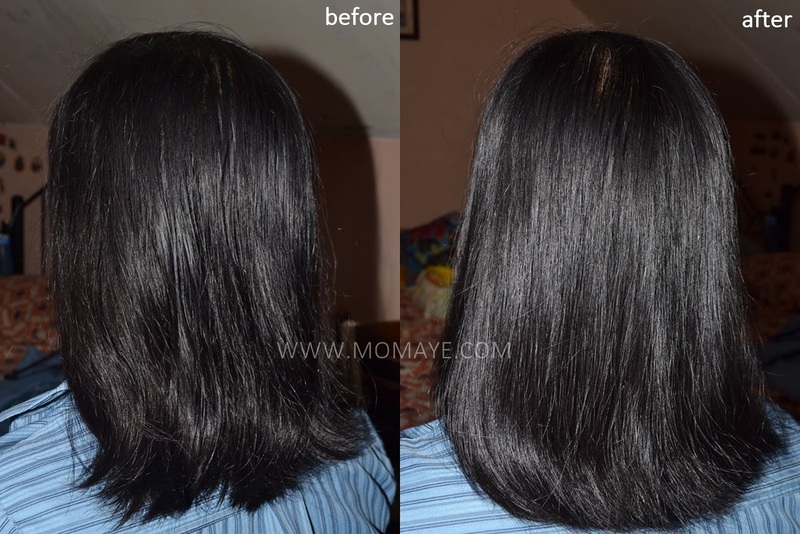 You can get even straightening results and shiny hair from roots to tips as these floating plates give uniform contact. 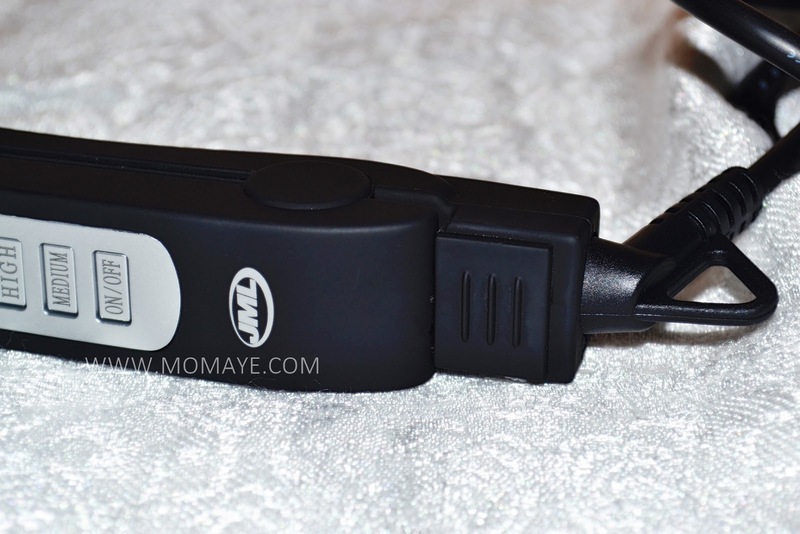 The Anion Generator produces negative ions that help maintain proper hydration to make it softer and shinier. You can use both on wet and dry hair. 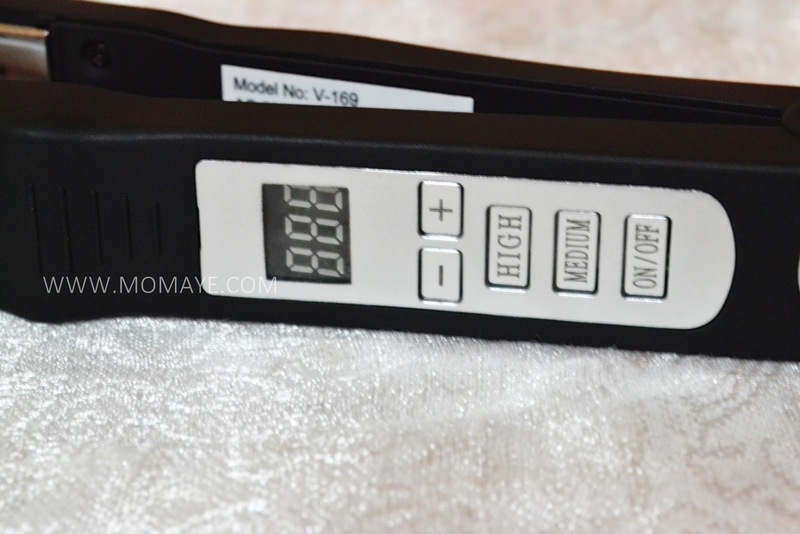 JML Hair Straightener Professional has LCD indicator and controller with medium (190 C) and high (230 C) settings. You can also adjust the heat by +/- 5 C. It heats up fast to 180 C in 30 seconds. Also, JML Hair Straightener Professional has 360 degree swivel 2-meter power cord with rotating and hanger design. And it has a lock feature too. If you will ask me how was it on my hair, here's the before and after I use JML Hair Straightener Professional. I wiped off excess water on my hair then used JML Hair Straightener Professional. In few minutes, I get that result already. I am happy kasi no more bad hair days. Parang rebonded nga daw, sabi nila haha! Thank you Daddy for granting my wish. Bawi na ko with your new tools naman. Please show it na,. Haha! 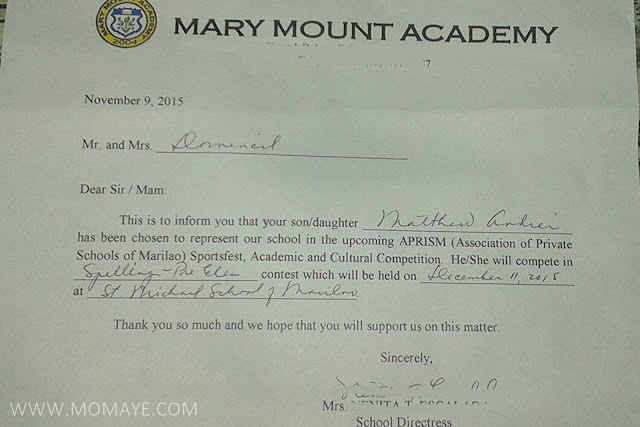 A month ago we received this letter from Matthew's school director. This is to inform us that Matthew was chosen to represent their school in the upcoming APRSIM Sporsfest, Academic and Cultural Competition. 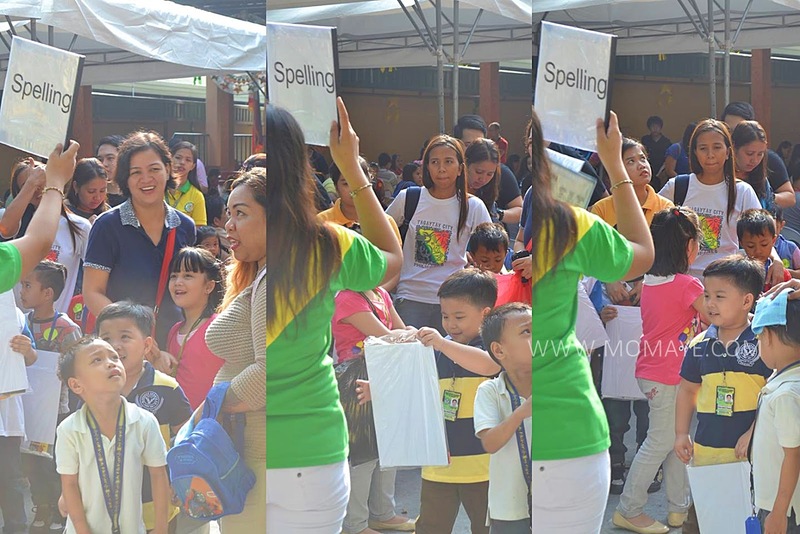 He will compete in the Spelling-Pre Elementary category. Last year, he already competed at this APRISM event in the singing contest - pre elementary category. 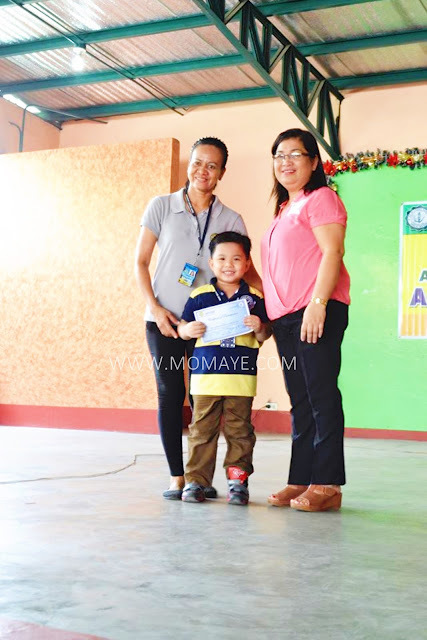 It was his first singing event at the age of 4 and now he will compete again in the academics event naman. We were not surprised for Matthew is really good in spelling. That's because he can write and read well, both in English and Filipino. But one thing I was not sure and that is how he will behave during the contest. Despite that, Daddy and I agreed to support Matthew especially that he's showing determination. Matthew really likes to join the contest. If not naman, it's easy to say no. But like what I said, gustong gusto nya and he didn't complain when it's time to review. And one week before the event, he even sacrificed his afternoon nap just to go back to school and have a 30-minute review with his teacher. That's why on his contest day, which is a Friday, we went with him and show our full support. He has two other classmates who will compete in Science and Mathematics naman. We went to the venue earlier because there's an opening program pa. After that, the Pre Elementary contestants were asked to line up in their respective contest category. The contests were held in closed classroom and only the quiz masters and the proctors were allowed inside. All the parents and coaches were outside waiting. The contest does not started right away because there were some kids who doesn't want to be left alone inside the room. Also, the quiz master wanted the kids to feel like they are just inside a classroom having lessons. Matthew said, they made them play a little before they started. A okay kaya pala, haha... That I will tell you later. Super nakakakaba mag-antay. Feeling ko ang tagal, to think 20 items lang naman. When the time was up and the kids left the room one by one, para akong nabunutan ng tinik. For me, I didn't expect anything na basta matapos na yun contest. Haha. When I saw Matthew with his dusty face, hands and clothes (because of the chalk he used), I felt a relief. Then Daddy checked the result and based on the tally board he got 8 out of 20. He ranked 9th out of the 18th contestants from different private schools here in Marilao. Not bad! Matthew's teacher was so happy because the two other boys also made to the top 10. The three of them will be awarded on stage daw kaya we need to wait for the announcement pa. Okay lang kahit super late na kami sa work, haha. 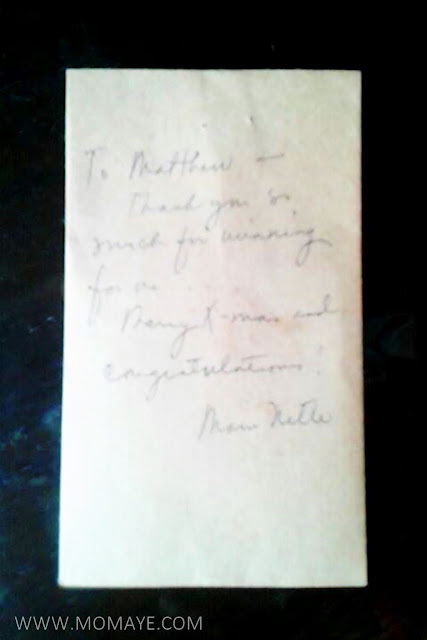 The school director greeted Matthew and us also. May utang daw silang blowout. Actually, who would have thought that these three hyper boys can join the contest and made to the top 10 pa. I like that the school didn't pressure the kids to win, but according to them they just want the students to enjoy this experience. By the way, I wanted to go up stage but decided not to kasi naman super pawis na ko, hehe. Anyway, here's Matthew with his coach. 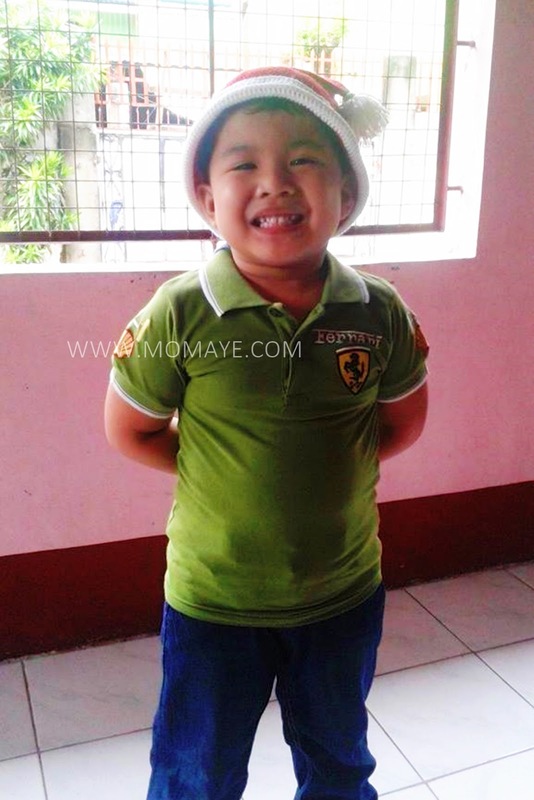 When Matthew flashed his killer smile the school director said, papogian na lang daw! 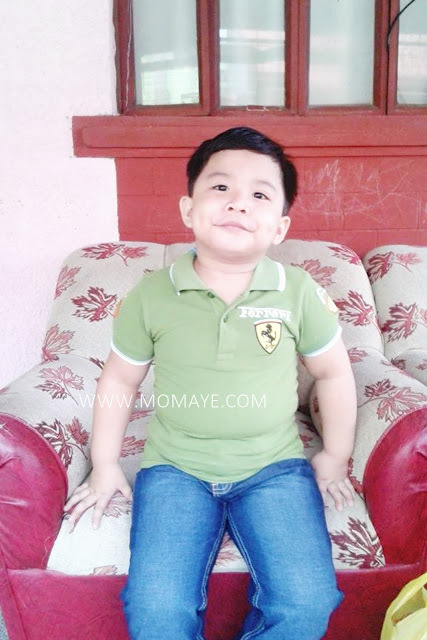 Best in smile daw si Matthew, hehe. Looking at this one, Matthew is one of the smallest. 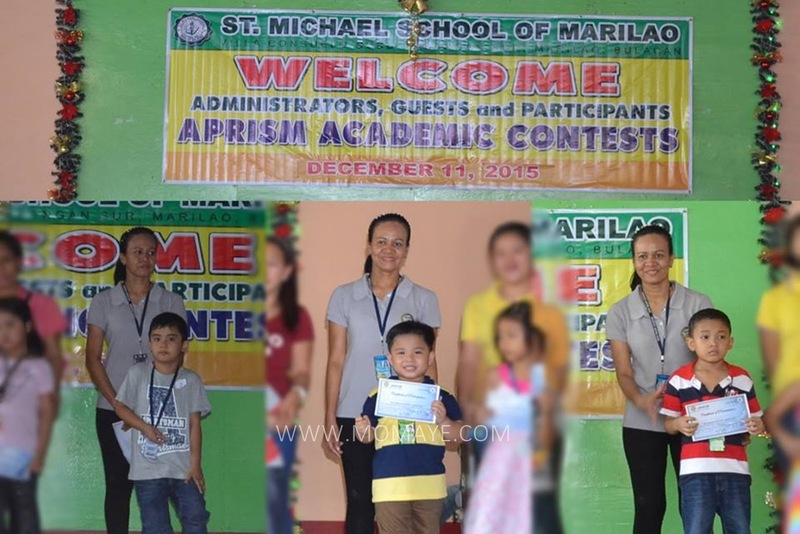 At the age of 5, he already joined two contests as compare to us before na at this age nasa bahay palang at naglalaro. 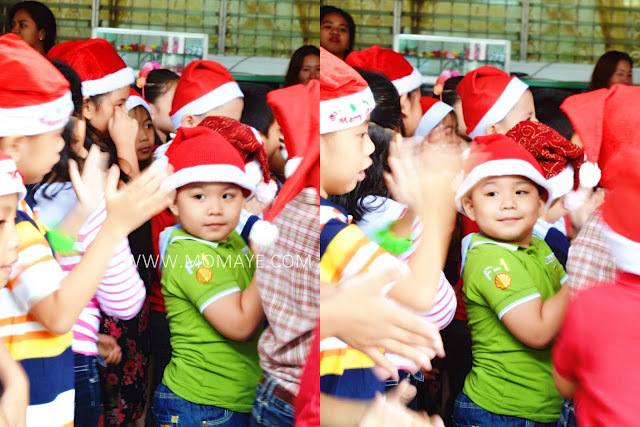 Sometimes I am thinking, Matthew is not yet emotionally prepared to be in school especially when he's branded as makulit. But hey, even he's the youngest look how confident he is. In fact I didn't see any trace of nervousness in him. He is always playful and jolly. 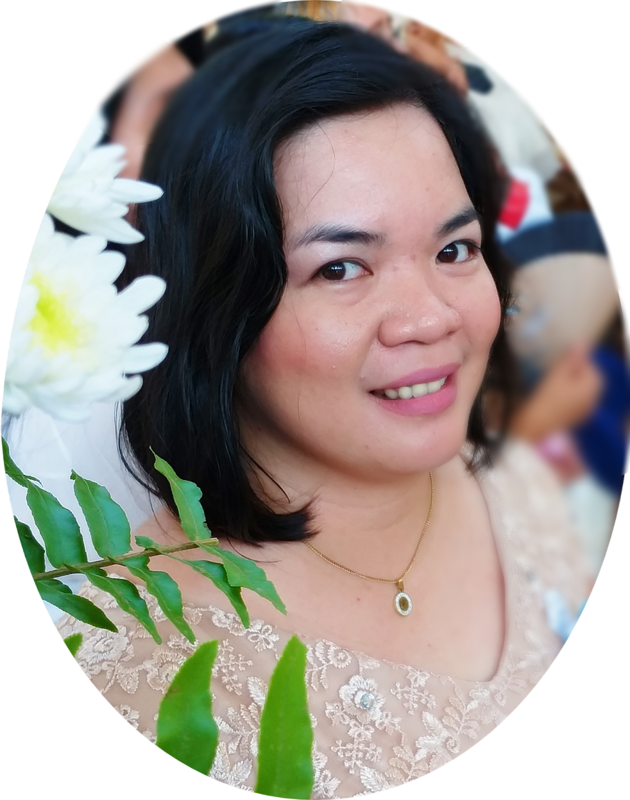 Speaking of being playful, when the quiz master saw him, she said, "a ikaw yun batang makulit sa loob, napagod ako kakabuhat ng upuan mo." Kakaloka, sabi na nga e. We heard someone shouting inside. I told Daddy parang boses in Matthew, sya nga pala. So that explained why he didn't get the easy words like car, van and coffee. Inuna ang kulit. But that doesn't make me admire him any less. I know he has more to give. Congratulations anak! You never fail to make us proud. Daddy and I will always be here to support you. We love you so much! 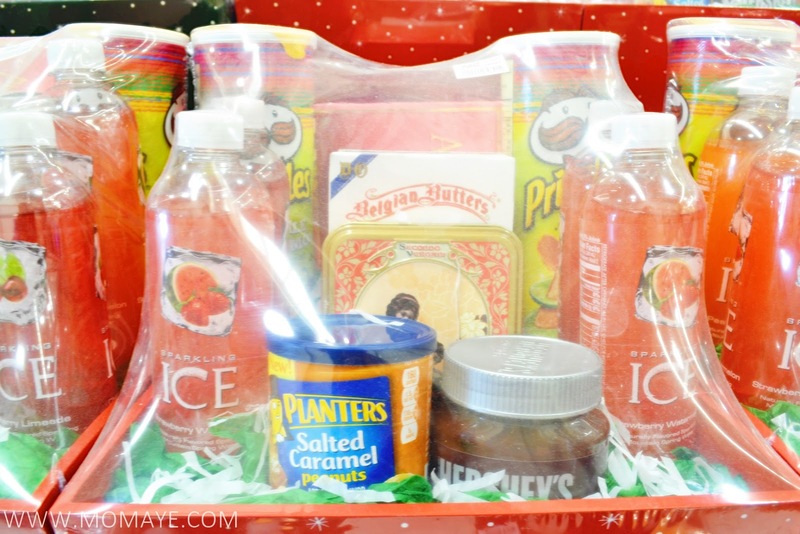 Calling all Snoopy lovers out there! Snoopy & Charlie Brown will be soon available in McDonald's Happy Meal. 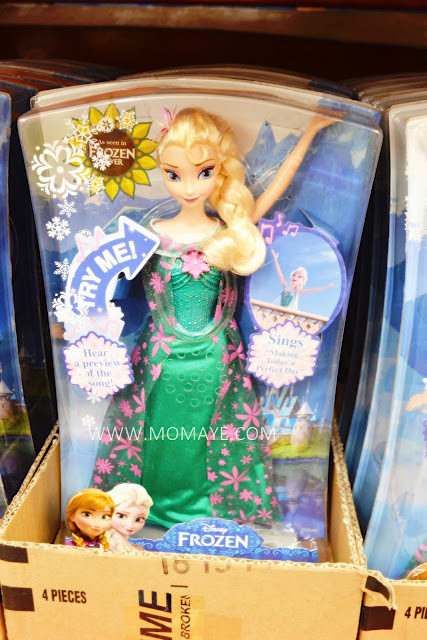 But wait, just like the Minions Happy Meal toys, you can pre-order the complete set and enjoy all 10 designs before everyone else. The names Snoopy and Charlie Brown are no strangers to McDonald's customers who grew up with these comic strip characters. McDonald's shares good old memories with today’s little ones with the new Snoopy and Charlie Brown Happy Meal toys. Get first dibs on all 10 designs before everyone else! Step 1 - Visit any McDonald’s store from December 11-15. Step 2 - Pre-order the complete Snoopy and Charlie Brown Happy Meal set in the front counter of any McDonald’s store nationwide. 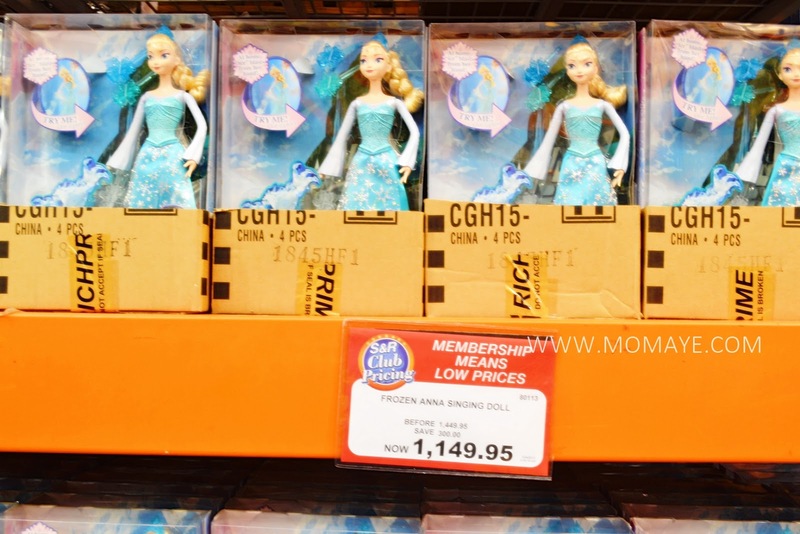 Step 4 - Happy Meal food stubs may be used upon purchase up until February 14, 2016. 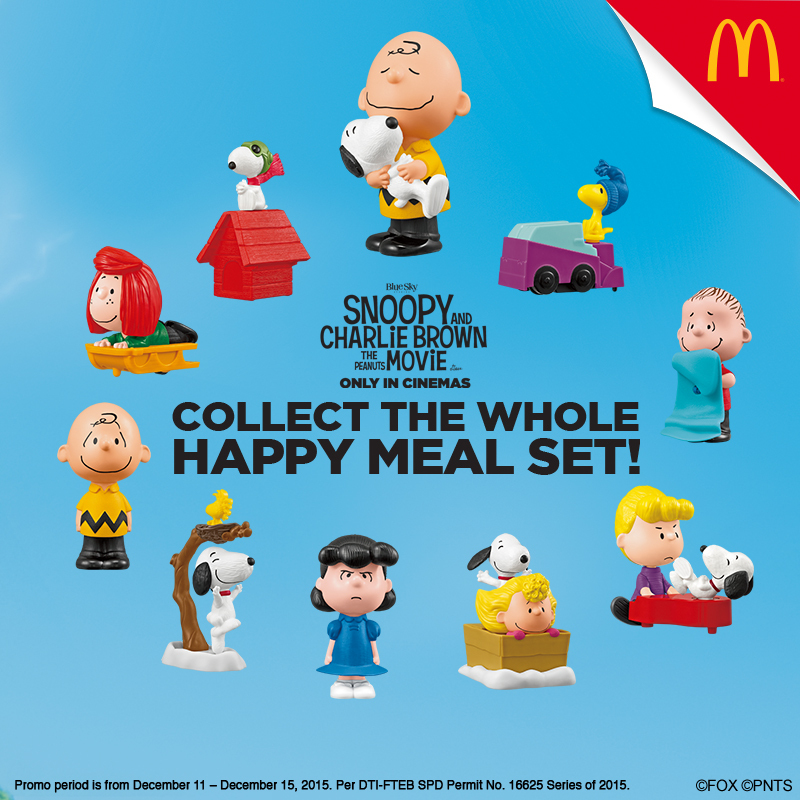 Step 5 - The complete Snoopy and Charlie Brown Happy Meal set may be redeemed at any McDonald’s store starting December 17 until February 14. Share fun childhood memories and create new ones with Snoopy, Charlie Brown and the gang! 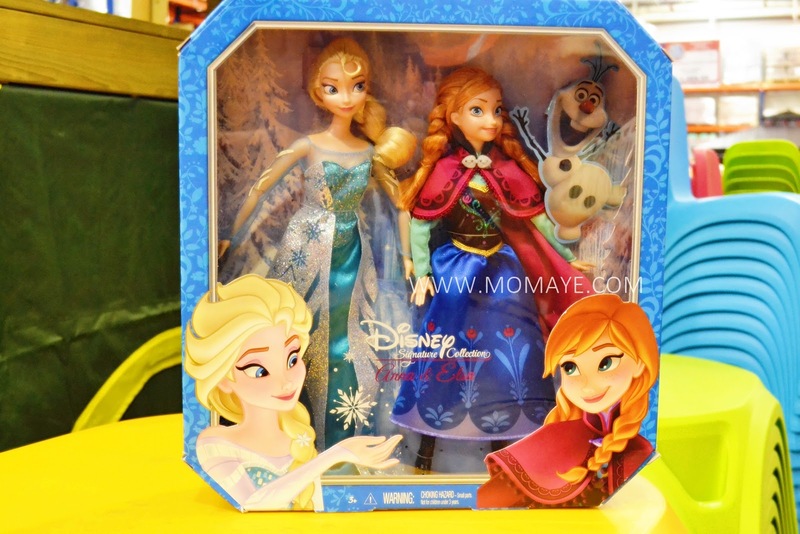 Enjoy the complete Happy Meal toy set by pre-ordering starting December 11 or collecting individually starting December 18. For more information about the Snoopy and Charlie Brown Happy Meal toys, visit happymeal.com.ph and like the official Facebook fan page at http://www.facebook.com/mcdo.ph, or follow @McDo_PH on Twitter and Instagram. You may also share your happy thoughts with the hashtag #SnoopyHappyMeal. I Got My Two Christmas Wishes! Yes, Santa Daddy grant my two Christmas wishes! 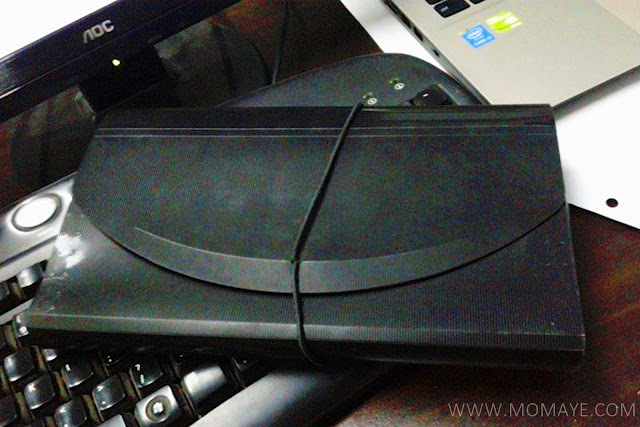 My first wish, which Daddy already blogged about, is this Asus X555L Laptop. Actually, like Daddy said on his post, last year ko pa ito bet. Kaya lang, inuna namin yun LG Smart LED TV. Just like what I mentioned on my saving tips, we agreed to have only one credit card installment plan per year. That's why I waited for a year to finally have this Asus Laptop. Good thing I have waited kasi bumaba naman yun price ng konti compared last year na nasa 30k+ sya. Yun lang I have no choice sa color because last model na sya. Okay lang because now that I have my own laptop, I can blog more. Yey! Next is my second wish naman. Hair straightening iron is my best friend. That is one thing I can live without. Chos! I have a Revlon hair straightening iron of more than 8 years now. And for sure maawa kayo pag nakita nyo sya, haha. So I finally decided to grant its retirement and bought this JML Hair Straightener Professional. Thank you to Daddy A for agreeing with me, hehe. Also, thank you to sis Marie for sharing this brand. I am looking for Revlon ulit sana but I can't find one. Good thing I asked sis Marie and yan nga recommendation nya. True nga! Kaya now, I have no reason to have a bad hair day. 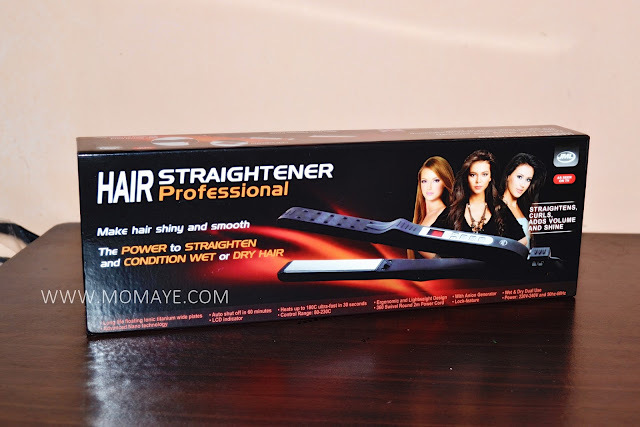 Here's my review of JML Hair Straightener Professional. 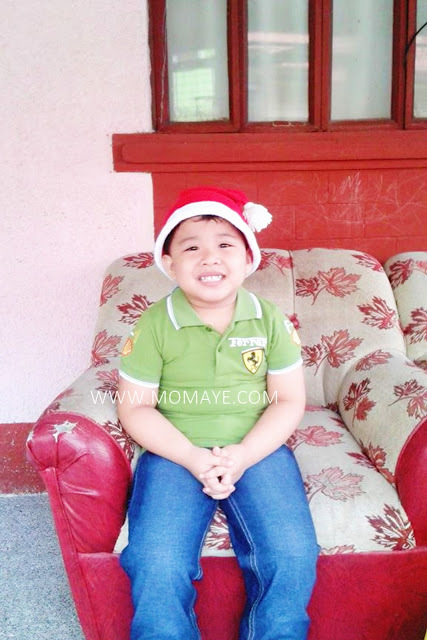 How about you guys, natupad na ba Christmas wish nyo? Yesterday, I happened to read again my goals for 2015. In less than a month, we will welcome another new year na. I am reviewing my listed goals to see if I am able to reach them. For the first part let me share this. One of my goals this year is to save more. Last January, we started with the 52-week money challenge. I am happy to share that we are able to finish not just one but four 52-week money challenge for Daddy and I, for Matt, for my Nanay and for my in-laws. We finished the challenge earlier because when we got an unexpected blessings, we prioritize to save for these money challenges. 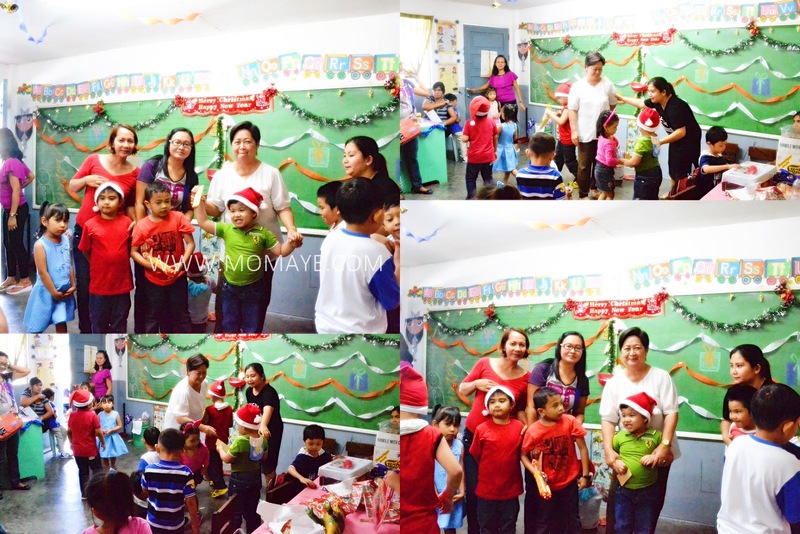 It also helped that we did the reverse of the challenge so by the middle of the year, konti na lang. But hey, we did different increments and starting amount. Just enough to make my in-laws and Nanay happy this Christmas. Aside from the 52-week money challenge that we finished, I focus on managing our hard earned money. 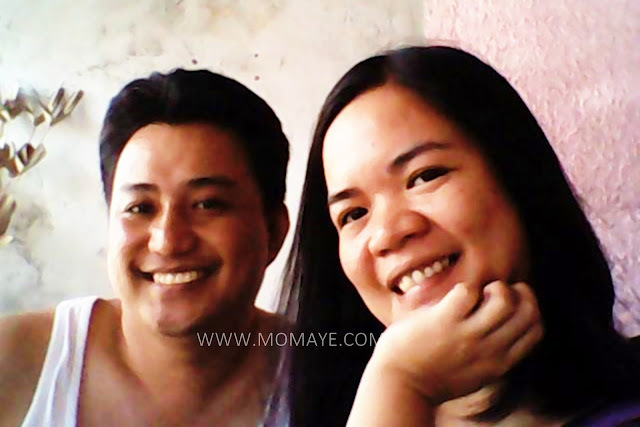 This year, aside from our regular works, we also earn well from our online shop and our blogs. I want not just to earn but to save as well. 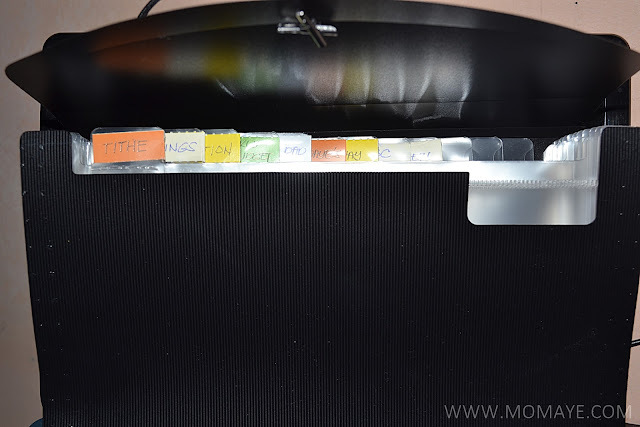 So I have tried many budgeting techniques but only the envelope system works well with us. 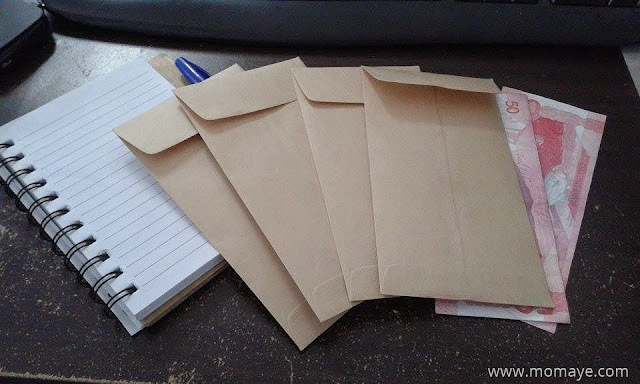 So for months now, I kept several brown envelopes inside my wallet that makes it super bulky. 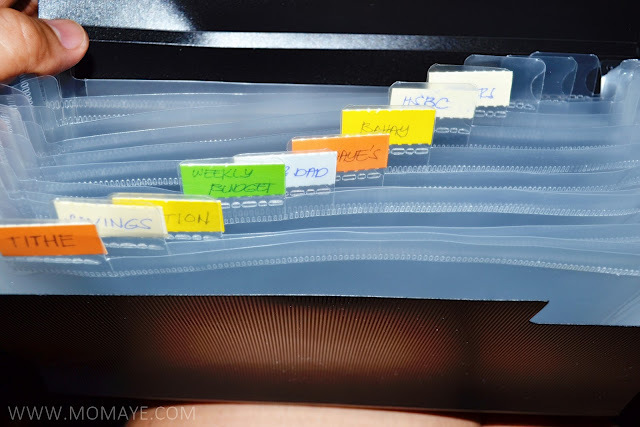 Another thing is, the envelopes can easily be torn so I kept on changing it. Then, since I just kept these envelope inside my wallet, I always fear that it might get lost or stolen. Fortunately, I saw one of the posts of Mommy Levy about expanding envelope. I immediately went to National Bookstore but there's no stock of a smaller one. Luckily, when we went to SM a week ago, I saw an expanding envelope but it's the last piece na. 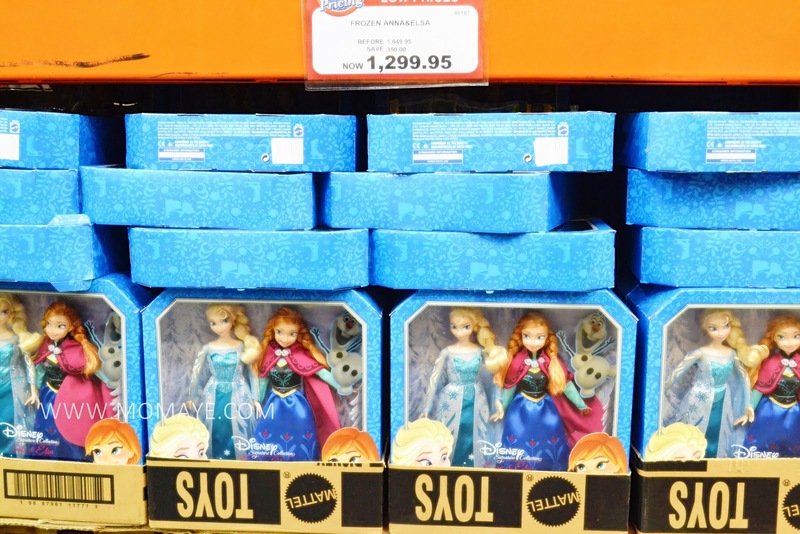 I bought it at 69.75 pesos only. No choice sa color kasi last one na nga, hehe. Pwede na atleast now I have separate temporary storage for the savings/bills payments/earnings. Temporary because it will be deposited to our savings bank account after. Medyo malaki sya for the money, as in papasok hanggang kaloob-looban but neat naman tingnan. Especially when you put the labels, which comes with the envelope. This is how I put the label. 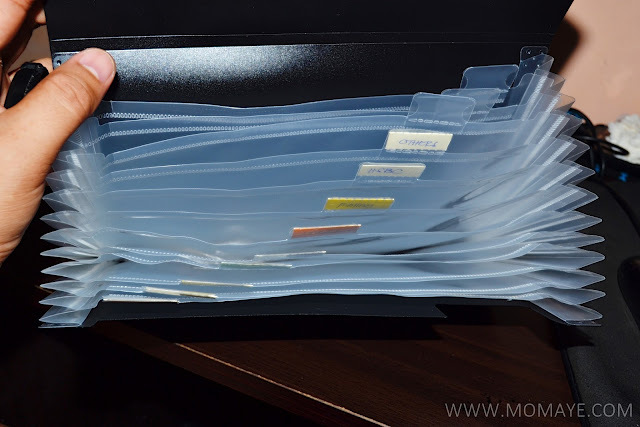 So how does the envelope system works for us. This is it. For tithe, I get a fixed amount from our monthly income. God has been good to us that's why I also want to be a blessing to others. Next is savings. This is where the 10% of our monthly income goes. I always get this first and hati hati na for the rest of the expenses. For me, mas magaan gumastos if you know you already have saved money. 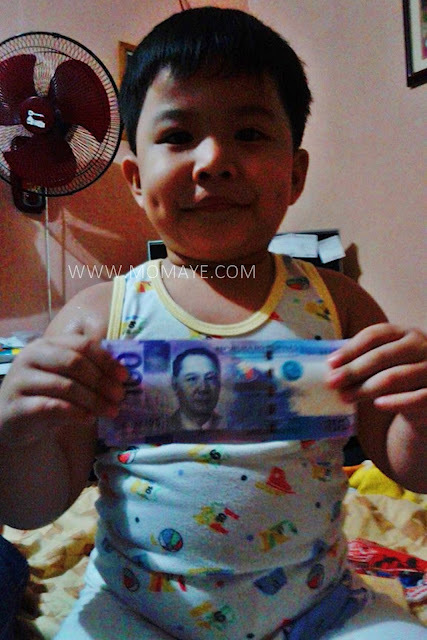 Then for the tuition fee naman, actually Matthew's tuition was paid in full already. I am saving for the next school year na and I just divide the tuition fee in 10 months to get the monthly allocation. We can save much when we pay the tuition fee in full kasi and by saving for it monthly, hindi ka mabibigla once pasukan na naman. Of course, we need a weekly budget. Finally, I am able to allocate a real budget. As in budget na heto lang ang gagastusin mo for the week. Before, what we are doing is we will do a month grocery but ending up over spending because weekly nasa grocery din kami. That's why I told myself why not we do it weekly. I know sayang oras but then we always go to market naman every week so a quick grocery won't hurt naman. Okay, how do I allocate our weekly budget. Listen, aww read pala! First, list down the basic needs like food, toiletries, and others that you need for a week. For us, I divide it with what I am buying from the market and what I am buying from the grocery. 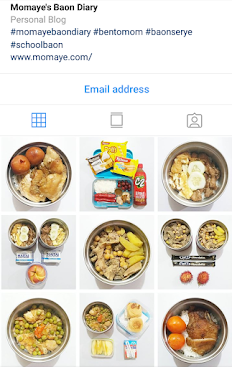 Here, it's very important that you have weekly menu for the food and to buy list because that will determine what you will buy and will help you stick with the budget. Maybe you are asking if I always stick with the budget. So far, I am sticking with the budget naman. Discipline lang talaga and don't over stocked especially meats, vegetable and fruits. Just buy what you need for a week. Promise you can stick with the budget. Aside from the 4 above, I also allocate money for our house's monthly amortization and credit card payment. Maybe you are wondering why I don't have allocation for the other utility bills? This is because we are using our credit card to pay all our bills online, except for our water bill. That makes our bill list simpler basta always have reminder to pay the bills online. Also, you will see I have two other spaces for our two shops. In here, I put the payments we received so that I know how much we are earning. Others naman will be saved for other planned expenses. Yes, we plan what we are buying now especially if we didn't need it just yet. Daddy and I agreed to only have one credit card installment plan per year. Or better if we can save for it then we'll buy it. This year, I must say we have been a wise spender and have avoid impulse buying. Next year, I hope our budgeting/expenses/savings will be better. So those are some money saving tips that I hope can help you too. Would love to read other saving tips from you too.